A different way to structure your understanding of social media insights. There are quite some models out there to help understand and analyze things, P’s, A’s, B’s, … and cool sounding acronyms. Since the 4 P’s of marketing there are probably more variations of such models that there are covers of Summertime. 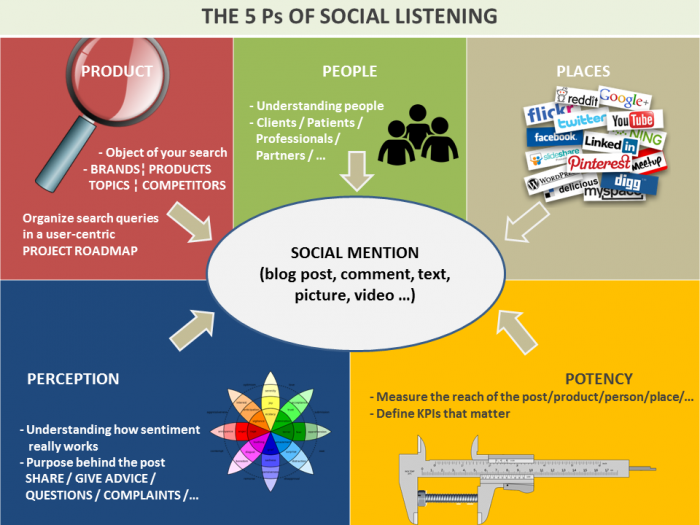 My turn to contribute with my 5 P’s that I apply to social listening insights. Who | What | Why | When | Where | How | How much. It’s seems to be the standard way to define your objectives, yet to my taste these questions are too broad, too open, and for some reason I struggle going through the whole row without forgetting one. Instead, I made another systemic approach work for me, and for my clients. It looks like what Pespi would be to Coca Cola, but instead of asking generic questions, I start from the BASE UNIT of social media analytics, the MENTION, to which I attach properties (the 5 P’s): PRODUCT, PEOPLE, PLACES, PERCEPTION, and POTENCY. (notice the effort to keep all words with a P). I find the system more insights-driven and in phase with the sociasphere. One of the use cases could be to convert a social media data set, which is by nature unstructured, into a semi-structured or fully-structured one. This will make data scientists happy and enable them to work their magic. As a general rule, an original post has more “strength” or involvement factor than comments or shared content. Retweeting for instance takes a second, it’s an impulsive action. Fumbling for subject, verb, complement and structuring your thoughts when writing a piece of content is a superior level of personal involvement. Marking for each mention if this is an original post, a comment/response or a share will be important to weight down the importance of an event. What about forum threads? Twitter conversations? … Should the thread be counted as a unique mention in your data set? Take this classic Tesco Mobile example – any tweet taken separately doesn’t mean much, but the whole context makes sense (most of the time in this instance). The base unit should remain the single mention, but all posts are related, and like in a chemical compound, there’s a whole ecosystem of social “atoms” bonding with each other. In all cases, knowing what you are taking as a base unit in your dataset is instrumental in analyzing things properly. But it’s easier to say that to put into practice and there’s a major challenge here, collecting all these related mentions. To my knowledge, listening technologies won’t systematically capture all mentions in a thread if they do not match one of the keywords in the search query. Concretely: an initial post in a forum says “I want to quit T-Mobile, the customer service is deplorable, …”. Then a thread of 100s of contributions, sometimes mentioning the brand, sometimes not. If the title of the thread contains the brand name, then all posts can be collected with listening solutions supporting a “title” operator. I’m quite convinced there are some solutions out there or some skilled coders able to automate some of these processes on specific sites, but the huge diversity of site formats and crawling permissions cannot provide for a universal system, at least not yet. So my practical solution to this issue is: either live with it and accept that a part of the dataset will be incomplete, or be ready for quite some manual work and coding, which at the beginning at least will clash with the velocity aspect of big data. These are the five core properties attached to the base unit that is the mention. PRODUCT: a product, a brand, a service, a politician, any topic (global warming, coffee consumption, …). It’s what the post talks about. PEOPLE: this is a specific person, an individual or a corporate persona. For instance a brand tweeting, employee of the brand, a journalist, a physician, a patient, a client, a prospect, … There’s much more to this and keys given to either the PEOPLE property, or PERCEPTION. I’ll delve more later into some attempts at understanding the human behind the post (not with breathtaking new theories but starting with what remains from centuries of research and storytelling principles that could shed some light on this). PLACES: First it will be a specific media type, like Forums, Blogs, Online News, Review Site, E-Commerce Site like Amazon, … To each of these media types correspond specific crawling methods, with their limits of course. Then within each of these media types, we’ll be looking at individual websites. PERCEPTION: the personal opinion, includes a wide set of keys: sentiment (positive, negative, neutral, to many more shades of sentiment colors), product features, facets of a political figure, any topic that basically prompts the emotional factor of the post. POTENCY: the reach of the specific post, person or place. This is probably the most esoteric and difficult part here. This type of metadata is very subjective and each major social network imposes their own view on how important a social contribution should be considered. I’ll try to go beyond the mere numbers and the multiplication or addition of huge figures that usually don’t mean much. In all cases, do not trust blindly the reach metrics given by your trusted listening provider. WHY: I hesitated translating this into PURPOSE and adding a 6th P to my system. The WHY question would be the intent behind a post: “I want to troll that brand I hate, just out of spite”, “I want to praise the customer service of that brand for going the extra mile”, “I want to ask about a specific service”, … Instead I put this under the PEOPLE property (“satisfied clients”, “unsatisfied clients”, “prospects”, …), or PERCEPTION. WHEN: well, that’s obvious, either the date something has been posted or the spikes that pace the conversations about a specific PRODUCT. This is a contextualization of the insights, not a property per se of a mention. Content is king, and I place the piece of content, the social mention, at the central part of all listening activities. Although I introduce the 5 P’s with putting the initial focus on the content itself, the social mention, there are many possible use cases. The first obvious use case of the 5 P’s is the systemic analysis of the raw material, meaning marking up a mention with what it is about (PRODUCT), who wrote it (PEOPLE), what is the perception of the topic and the purpose behind the mention (PERCEPTION), where it’s been posted (PLACES), and finally the reach or impact on other people (POTENCY). Your dataset will be well organized, a library of high-value human generated content that you can dig into for real time insights and concrete interactions. And there’s more to it. We’ll see this in the next post about PRODUCT, how to create a taxonomy. It’s probably the most important thing you’ll have to do. It needs to be in line with the requirements of all the employees of the brand across all functions, the reality of the conversations and have a naming convention in line with your internal systems (you’ll need to plug that taxonomy in your in-house systems sooner or later). You can’t change that taxonomy so easily on the fly and yet will have to add layers of complexity to it, so better plan it carefully, a sound basis on which you can build further. “Is my brand perceived the way I want it to be perceived, and is the way I perceive my brand in line with today’s audiences”. In my career, I saw countless e-reputation reports that were just a collection of charts, and some text describing exactly what was shown on the charts, that’s it, no outcome, no or irrelevant recommendations. And people just chucked the reports, discouraged, deciding that the investment was worthless. Using a clear methodology with the 5 P’s and a concrete outcome to the study will make sure your money and efforts are well spent. 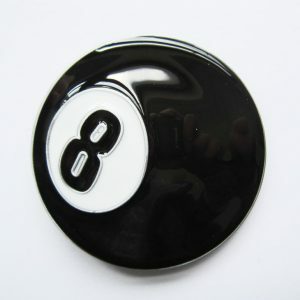 Sometimes it feels like asking a magic 8 ball, what makes the game interesting is not always the answer, it’s the question and the way you ask it. 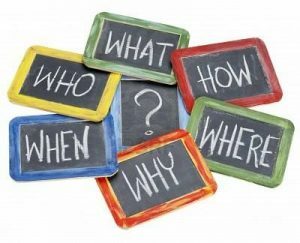 A question needs to be realistic, understandable, make sense, have a concrete outcome and potential actions. The answers will be only as relevant as the question you ask. It takes more time, but thinking of each of the 5 P’s in great details will make you ask a relevant question. And there are countless use cases where thinking about the 5 P’s will help you get straight to the point. Please reach out in the comments section with any question or objection, or to share your best practice.